BOSTON, Mass. – April 3, 2018 — Adimec (www.adimec.com), a world leader in application-specific, leading-edge industrial camera solutions, will showcase its portfolio of vision products and technology optimized for the global security market at the 2018 edition of the SPIE Defense and Commercial Sensing exposition in Orlando FL, April 15th through April 19th. The company will display and discuss the enhancements to its TMX series of rugged full HD and beyond COTS cameras to provide full motion video in daylight on airborne payloads, long-range observations systems, and other sensor system architectures. 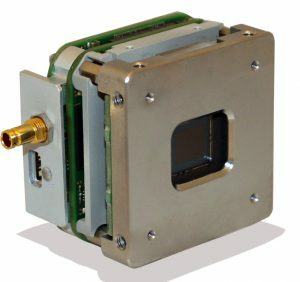 Visit Adimec in Booth #606 on the exhibition floor to see the TMX55 camera with Adaptive Resolution in action.